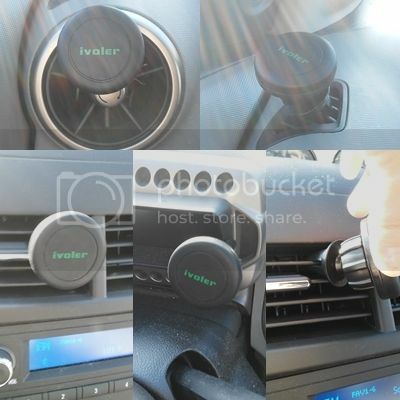 I am loving this powerful magnetic cell phone holder, iVoler Air Vent Magnetic Universal Cell Phone Car Holder! 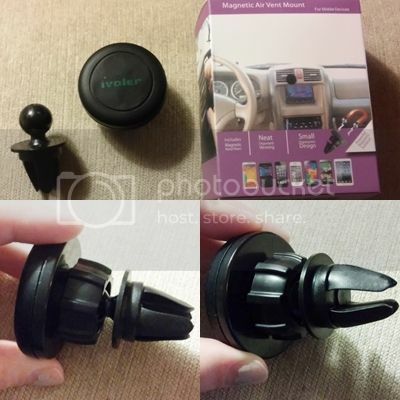 It's universal so it should hold almost any phone using almost any car vent and it's all under $8!!! Step 1: Open your cell phone cover or back case (where the battery is), insert either the rectangle or circle metal plate, close your cover. Step 2: Attach the mount to any vent or other piece of your dash it can hold on to. Step 3: Put phone up to mount. 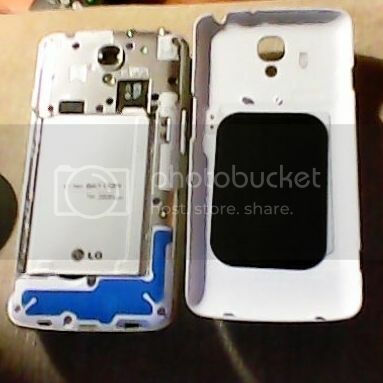 The metal plate inside your phone will instantly grab a hold of the base magnet. Step 4: Enjoy. That's it. No damage to your phone, no hard work, no 4 years trying to adjust it. It's just that simple. -Mount is made of nice quality black rubber and plastic. When you put the mount together you can feel right away that it's a strong construction and it's not going to fall apart. It looks really good and even if you are not using your phone it looks nice in the car. It sits in the vent and it's still small enough it does not draw the eye and look like you have some huge thing sticking out of your vent. -Super powerful magnet. I mean seriously powerful. I tried this with my 5" screen LG, an iPhone 6 and a 7" Samsung Galaxy Tablet (just for fun) and it held strong!!! I drove around with my phone attached on a road that is super bumpy from construction and the magnet still did not let go! -Swivel your display to avoid glare! With the hold holder I had it would suction cup to the windshield and during sunny days was completely useless to see the phone screen. If I was using it for GPS I was screwed. Not with this! I found the vent above my radio is perfect because I can actually rest the phone bottom on the volume knob and get it to the perfect angle. 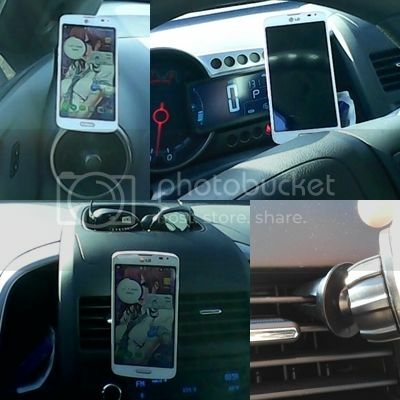 -Definitely the easiest mount to use on the market and does not damage your phone. It gives you multiple options to connect the metal plate to your phone but I found that the plate into the case was so easy and convenient. I did not have to do anything special. Took me 30 seconds from in the box to attached to the phone and the car and ready to go. -I wish the swivel could be tightened just a hair more to keep the angle you want it at a little higher on certain vents. It was perfect on my car but if your vents angled down weird you might not be able to set it exactly positioned as you want. I really love it and give it 4.5 out of 5 stars. Click here to see it and buy it on Amazon!